The P6201 and P6202A are Low Circuit Loading Active Signal Acquisition probes for Tektronix 400 Series, 2400 Series and 7000 Series Families of Oscilloscopes. The P6201 and P6202A with Active FET devices in their inputs provide very high input impedances. Both the P6201 and P6202A probes provide a wide linear dynamic input range for accessing most digital device families using today's logic voltage levels. The P6201 provides unity gain (1X) and is the best general purpose FET probe within its voltage range. Plug-on attenuator heads provide wider dynamic ranges (10X and 100X), while maintaining the oscilloscope readout factor. Wider dynamic input range for the P6202A is achieved by an optional 10X attenuator head which provides 100X attenuation. 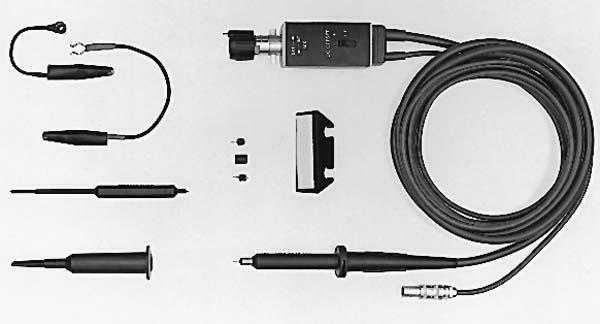 Both the P6201 and P6202A probes provide a variable DC Offset function which is set by using the offset controls on the probe's compensation box to bring signals (those within the offset control range) into the dynamic range of the probe. AC or DC coupling selection is available on the P6201 and P6202A FET Probes. When AC coupled, the DC voltage component is blocked, allowing viewing of superimposed signals. 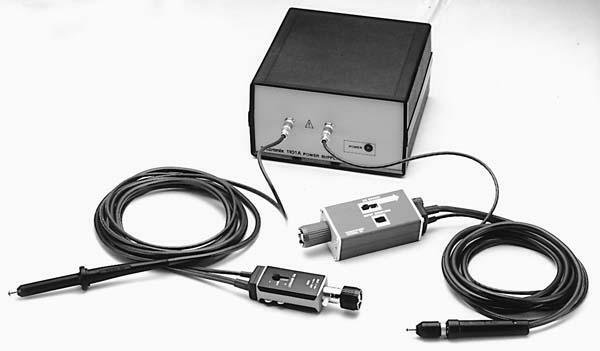 A self-contained selectable 50 ohm termination switch allows the P6201 or P6202A to be terminated into a 50 ohm or 1 megohm oscilloscope inputs. Power for the P6201 and P6202A is supplied by the 400 Series, 2400 Series and 7000 Series mainframes through the optional Probe Power Jack or the 1101A Power Supply. The P6201 or P6202A may also be used with other 50 ohm and 1 megohm input real-time oscilloscopes, sampling systems, spectrum analyzers and counters by using the 1101A and appropriate interface adapters (SMA to BNC, GR to BNC, etc.). 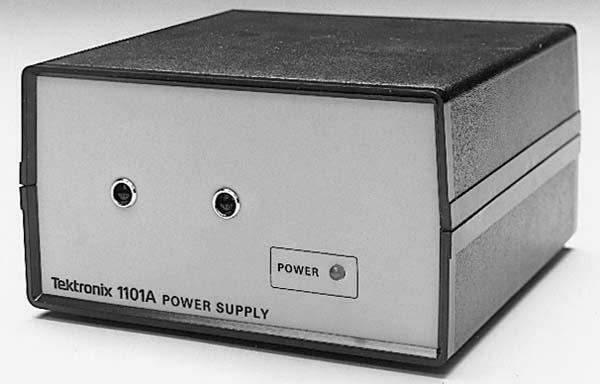 The 1101A power supply provides external power to probes when the oscilloscope used does not have the capability to supply probe power. The 1101A has two power receptacles that will power up to two independent probes, such as the P6201, P6202A and P6230. *1 Interface/Readout/Identify-AutoProbe Code: (TPB=TEKPROBE® BNC) / (TPS=TEKPROBE SMA) / (BNC=Conventional BNC) / (Y=Yes) / (N=No). *2 Requires Probe Power connector on mainframe or 1101A Power Supply. *3 Optional Accessory. Order 010-0384-00.